The Bible is an amazing book, recorded by around 40 men over about 1,500 years. But it claims there is one ultimate Author: God. The men who wrote the most books are Paul (13 or 14), Moses (5) and John (5). Below is a list of the possible writers of all 66 books of the Bible. The Bible is one of the most reproduced books of all times. It has been translated into hundreds of languages and can be found in all parts of the earth. The Bible is also the earliest mechanically printed full-length book; the Gutenberg Bible was printed in Mainz, Germany, around 1455. It is the most influential book ever written, making incredible claims regarding the future. It promises that humans can live forever and become members of the family of God. It explains why humans suffer and the real purpose of human life. It explains how suffering will come to an end and announces a time when there will be no more pain, sorrow and death. Its promises and messages concerning the future are astounding. So who wrote the Bible? The most succinct answer is, God did. One of the men responsible for a large portion of the New Testament, the apostle Paul, wrote: “All Scripture is given by inspiration of God, and is profitable for doctrine, for reproof, for correction, for instruction in righteousness, that the man of God may be complete, thoroughly equipped for every good work” (2 Timothy 3:16-17). Scripture is “given by inspiration of God” (theopneustos, literally “God-breathed”). God, through His Holy Spirit, inspired men to record His message; and therefore it has divine authority for doctrine, for reproof, for correction and for instruction in righteousness. God inspired men from diverse backgrounds and generations to record His message for mankind. For a period of more than 1,500 years, God inspired prophets, judges, farmers, shepherds, fishermen, doctors and kings to record His thoughts, much like a manager might dictate instructions or a letter to an assistant or secretary. 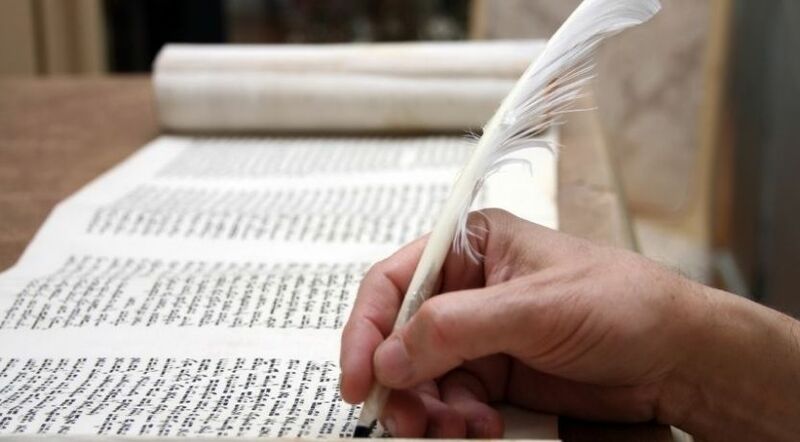 At times God allowed the human writers to use their own words or terminology, but all received divine inspiration from God—who is really the One who wrote the Bible. The apostle Peter wrote, “Knowing this first, that no prophecy of Scripture is of any private interpretation, for prophecy never came by the will of man, but holy men of God spoke as they were moved by the Holy Spirit” (2 Peter 1:20-21). Scripture is not a matter of man’s own interpretation; the writer does not write from his own initiative or impulse, but as he is moved or inspired by the Holy Spirit. Thus, the Bible is God’s message communicated by men as they were moved by God. Sometimes that message came in a direct form, introduced by such phrases as, “the word of the Lord came to me.” One Bible researcher counted more than 3,800 times when the writers of Scripture used some variation of the phrase, “the word of the Lord came to me, saying ….” In other words, the prophet stated with clear authority that God, the Creator of the universe, actually communicated His message personally to the prophet. For example, Isaiah records: “And the word of the LORD came to Isaiah, saying, ‘Go and tell Hezekiah, “Thus says the LORD, the God of David your father: ‘I have heard your prayer, I have seen your tears; surely I will add to your days fifteen years’”’” (Isaiah 38:4-5). In other cases prophets described their own experiences and offered different perspectives on the same event. They presented the message of God in different styles and languages, and yet the Holy Spirit guided their thoughts and minds to present God’s divine truth and not merely their own humanly devised message. Some writers claimed to see God and speak to Him face to face (Exodus 33:11). Hundreds of thousands if not millions heard His voice (Exodus 20:1-22). The Bible also claims that God emptied Himself of His divinity and walked the earth in human form, eating, sleeping, laughing, crying, touching, healing, teaching and finally dying. Multiple thousands witnessed these events, and some of Jesus Christ’s trusted disciples recorded His words and teaching. The apostle Paul claimed to have seen Jesus after His death and resurrection and professed that his teaching came directly from Him (Galatians 1:11-12; 2 Corinthians 12:2; 1 Corinthians 15:8). Even though it is really God who wrote the Bible, He used humans to write it down for us. In many cases the human writers are named, but other times we look to tradition or other clues to determine who the writer might have been. Genesis, Exodus, Leviticus, Numbers, Deuteronomy and Job by Moses. Judges, Ruth, 1 Samuel and 2 Samuel by Samuel, Nathan and/or Gad. 1 Kings and 2 Kings by Jeremiah. 1 Chronicles and 2 Chronicles, Ezra and Nehemiah by Ezra and Nehemiah. Psalms, primarily David with several others (Asaph, sons of Korah, Heman, Ethan, Solomon and Moses). Proverbs, Ecclesiastes and Song of Songs (also known as Song of Solomon) by Solomon. Jeremiah and Lamentations by Jeremiah. Luke and Acts by Luke. Romans, 1 Corinthians and 2 Corinthians, Galatians, Ephesians, Philippians, Colossians, 1 Thessalonians and 2 Thessalonians, 1 Timothy and 2 Timothy, Titus and Philemon by Paul. Hebrews by an unknown author, probably Paul. James by James, Jesus’ half-brother. 1 Peter and 2 Peter by Peter. 1 John, 2 John and 3 John by John. Can we prove that God is the One who wrote the Bible? An internal study of the Bible points to its divine origin, but how can we know for certain? How can we know if the Bible is the inspired Word of God or just a humanly devised book? The key is found in the Bible itself. Christ gives us the key for determining the validity and truthfulness of the biblical writings. He stated to those who questioned Him, “My doctrine is not Mine, but His who sent Me. If anyone wills to do His will, he shall know concerning the doctrine, whether it is from God or whether I speak on My own authority” (John 7:16-17). The biblical formula for proving the truth of the Bible is to do what it says. We can prove to ourselves the claims of the Bible by obeying the commands given by God contained in its pages. Apocrypha: Is It Part of the Bible?